Google is a leader in artificial intelligence and machine learning. But the company’s computers still have a lot to learn, judging by a major blunder by its Photos app this week. The app tagged two black people as “Gorillas,” according to Jacky Alciné, a Web developer who spotted the error and tweeted a photo of it. “Google Photos, y’all f**ked up. My friend’s not a gorilla,” he wrote on Twitter. Google apologized and said it’s tweaking its algorithms to fix the problem. 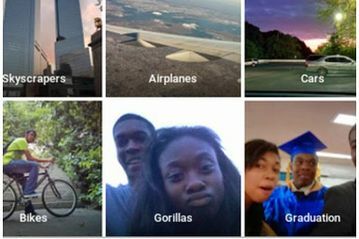 The gorilla tags turned up in the search feature of the Google Photos app, which the company released a few weeks ago. When users start a search, Google suggests categories developed from machine learning, the science of training computers to perform human tasks such as labeling. The company has removed the gorilla categories, so those suggestions will no longer appear. “Lots of work being done, and lots still to be done. But we’re very much on it,” Yonatan Zunger, chief architect of social at Google, wrote on Twitter in reply to Alciné. Google is working to improve its recognition of skin tones and will be more careful about its labels for people in photos, he added. The episode shows the shortcomings of artificial intelligence and machine learning, especially when used for consumers. Google likes to release software that may still have flaws and then update to fix any problems. This gets products out to users fast, but risks upsetting consumers if bugs are major. When it launched the Photos app, Google acknowledged that it was imperfect. But the “gorillas” tag shines a harsh light on the system’s shortcomings. “We need to fundamentally change machine learning systems to feed in more context so they can understand cultural sensitivities that are important to humans,” said Babak Hodjat, chief scientist at Sentient Technologies, an artificial-intelligence startup. He said machine-learning systems don’t understand the difference between mistaking a chimp for a gorilla, which may be OK, and mislabeling a human as a gorilla, which is offensive. Google’s system may not have “seen” enough pictures of gorillas to learn the differences – and wouldn’t understand the significance of such a mistake, he said. Feeding more pictures of gorillas into Google’s machine learning system would help. But such systems also have to be trained to be more cautious in certain settings. Now, most systems are set up to make their best guess at a label, even if they’re not 100% sure, Hodjat explained. Google said that as more images are loaded into Google Photos and more people correct mistaken tags, its algorithms will get better at categorizing photos. Google said it released the app in part so that people could feed it more images, to improve it. Google took a similar approach with its voice-search feature that lets users ask questions verbally rather than by typing search queries. That service initially had lots of speech recognition errors, but as more people have used the service, Google’s machines have got better at understanding speech.